Will Gilbert received a Conservation Bursary for the final year of his Conservation Studies at City & Guilds. 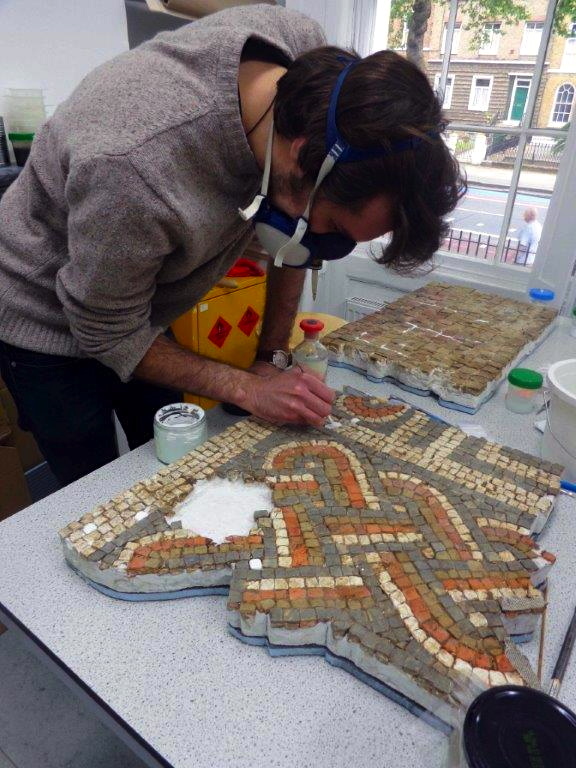 During the year Will was able to combine “conservation work on four fragments of a large geometric mosaic floor from a Roman villa in North Yorkshire, with an analysis of the lime mortar from several 4th century mosaic floors in the surrounding area”. Will found that the year was a “great opportunity to gain experience….The course help me to develop … both the practical and project management skills which will assist me in my professional life to complete commissions to an excellent standard… From intensive practical experience I have seen a great improvement in the rate and quality of my work”. After working as an intern at the British Museum, Will decided that he would like to continue to work with archaeological stone in the future.